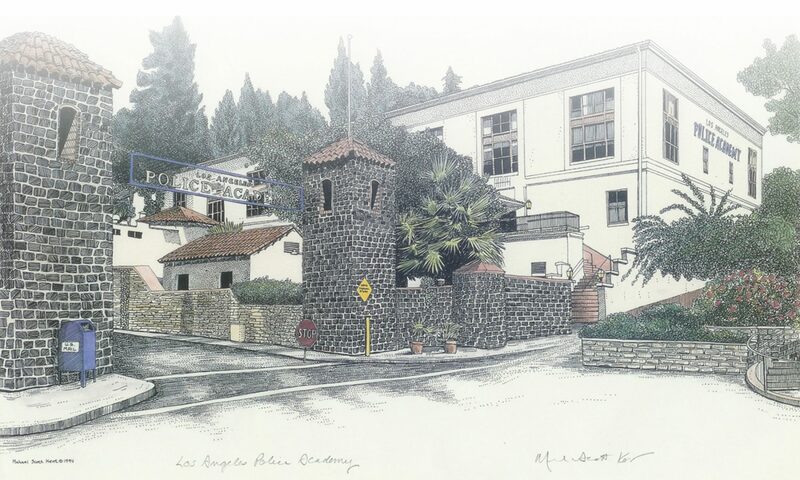 The Los Angeles Police Academy Revitalization Alliance (“LAPARA”) has been organized and shall operate exclusively to support, and to carry out charitable and educational activities of, Los Angeles Police Revolver and Athletic Club (“LAPRAAC”). LAPRAAC is a 501(c) (4) non-profit organization. Which means that it was formed to the benefit of its membership as a tax exempt non-profit organization. This tax exempt status has many great advantages, but brings its own set of challenges. These challenges have become increasingly evident over the years. For example, even though LAPRAAC is a non-profit, it is not a charitable organization and therefore people who wish to donate do not receive the benefit of a tax deduction. As such, it has become increasingly difficult to receive financial support. Additional challenges with the rules that govern a 501 (c) (4) limit the amount of activity it can do outside of its membership, even if that activity would directly benefit the membership. As a result the very rules designed to help the Club support its membership can at times actually make it harder to do so. For example, stores that compete against LAPRAAC, such as a uniform or duty related store, have an advantage because they can advertise and sell to the public, which in most cases generates larger market share. This in turn allows them to buy in bulk, at discounted prices, and lower their selling prices. They are not only more profitable on each item, but they can also make up for any loss of profit margin with volume. But with every challenge comes opportunity, and the Board of Directors of LAPRAAC are always doing whatever they can to improve the Club and service to our membership. In the most recent years they have undergone another step in taking the Club and the Academy to the next level. How so? By using their years of wisdom, know-how, and perseverance to come up with a legal and innovative way to use the existing laws and codes to the benefit of the Club. A few years ago the Board creatively formulated a new 501 (c) (3) Type I Support organization, a non-profit, charitable corporation, in which its sole purpose is to support LAPRAAC. This new company, The Los Angeles Police Academy Revitalization Alliance (LAPARA), has been designed to remove a significant amount of cost burden in which LAPRAAC currently absorbs, by maintaining the academy grounds, classrooms and facilities. By doing so, it will free up money usually spent on these projects to be redirected back into its programs. Because LAPARA is a 501 (c) (3), it is not only a charitable organization, it does not have membership limitations. Its activities can reach a much broader audience and allow for larger potential revenue. This does not mean that LAPARA will bring an influx of non-members to the Academy and impact member access, but what it does allow is for LAPARA to hold special events in which they can reach a larger base for donations and revenue generation. In addition, LAPRAAC as also authorized LAPARA licensing rights to sell officially licensed LAPD merchandise. Since LAPARA does not have the same limitations of sales as LAPRAAC does, it has allowed LAPARA to open a web based store in which they can reach a much larger audience. LAPARA and LAPRAAC both thank you for your support in bettering the academy and our membership based programs. Help Support the Los Angeles Police Academy Revitalization Alliance through a tax deductible donation.